 Almeria is part of the exclusive Ocotillo neighborhood located in Chandler, Arizona. The Ocotillo Community encompasses approximately 1,900 acres. Lush rolling fairways, mature trees, beautiful flower beds, waterfalls and lakes provide rich surroundings for this upscale community. One of the most remarkable features of both the Ocotillo Golf Course and the Ocotillo Community Association is the lake system. This lake system, which is comprised of 167 acres of interconnected lakes and water features, exclusively uses reclaimed water. Both parcels at Almeria at Ocotillo have frontage on the lakes, and the community common areas and units have been designed to take advantage of the lake views, waterfalls, picnic areas, large lots, and a 27-hole golf course designed by Ted Robinson. Chandler offers fabulous fine dining and shopping, parks & recreation, events, and arts & culture there is something for everyone! Almeria is steps away from Downtown Ocotillo - a beautiful retail shopping plaza featuring retail shops, specialty grocers, and restaurants. You can include great location in our resort-style of living at Almeria at Ocotillo. Within the Chandler Unified School District, nearby schools include Jacobson Elementary and Bogle Junior High just one mile away. The perfect place to enjoy views, a variety of sports, fresh air and more is just three miles away at Snedigar Park. For premium dining, shopping and entertainment options, drive a mere ten minutes to the popular Chandler Fashion Center. Golf enthusiasts will love Bear Creek Golf Complex less than six miles away. Enjoy the travel convenience of having an airport nearby. Phoenix-Mesa Gateway Airport is only 22 minutes away so you can get to your destination with ease. For a night in the city, Phoenix, Mesa, Tempe and Gilbert are all within less than 30 minutes for you to enjoy! Stop by our luxury apartments in Chandler, AZ today!